Can Life Survive After Heat Death? It is now thought that the sun and stars will die, but that life will adapt to this severely changed environment. According to physicist Freeman Dyson, we will still have civilization, still be able to think, and will retain our ability to have memories. We will also be able to communicate information across galaxies. This will happen because we will use our new discoveries in physics to help us continue to survive. Also, we will most likely be a very advanced form of human being, such as those found in Arthur C. Clarke’s Childhood’s End, or Charles Sheffield’s At the Eschaton. bubble is a universe floating in a hyperspace of eleven dimensions. 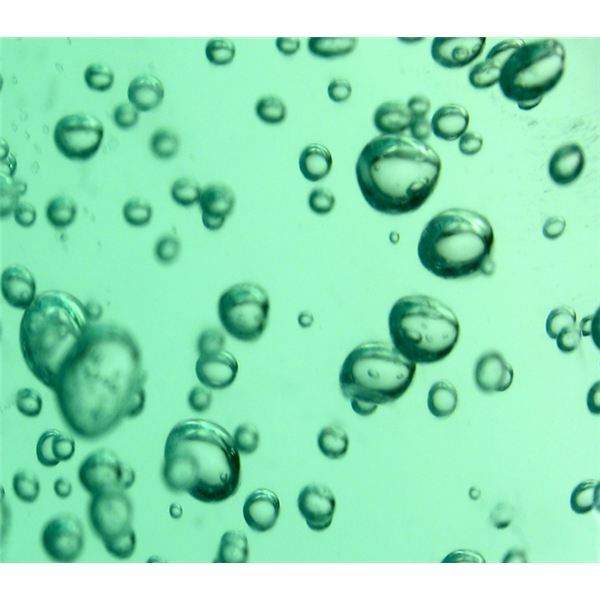 The bubbles can join with others, split apart, or pop. This is known as multiverse theory. Multiverses form when space-time is deformed, causing bubble creation. If multiverses do exist, there is a possibility we could leave our universe for another upon the occurrence of heat death. The bottom line is that there is much of physics we still do not know or understand, such as dark energy or dark matter. Even certain behaviors of particles such as neutrinos remain a mystery to us. It is expected that the Large Hadron Collider (LHC) will help resolve some of these conundrums, and thus help us understand what will happen after heat death ensues. Here are what some authors and scientists have speculated on heat death, entropy, and human survival. Two characters ask a giant computer how to avoid heat death by decreasing entropy and get an answer they don’t like in the short story The Last Question. In Pamela Zoline’s Heat Death of the Universe, a California housewife meets entropy and at the end the results are a bit mixed. Futurist Ray Kurzweill will survive to see the singularity, and thus will conquer all death. The great physicist Richard Feynman suggests that we are just a statistical fluctuation in the grand scheme of things. Question: How can you tell if you’re a physicist or an engineer? Answer: If you avoid doing anything because you don’t want to contribute to the eventual heat death of the universe. Is Everything Within Science’s Reach? The following closing essay has been kindly contributed by Haresh Khameni, the Managing Editor of the Mechanical Engineering Channel. It is related to the series in that it deals with modern man’s view of science as a solution to everything, and the relative dearth of research into human consciousness. In doing so, it touches upon topics discussed by researchers in the areas of causality, entropy, eschatology, quantum theory, anthropic theory, multiverse theory, and Boltzmann brains. The views expressed do not necessarily reflect those of myself. Science has certain limitations for scientific instruments cannot measure everything, scientific formulas cannot analyze all situations, scientific theories cannot be applied to all concepts, and human beings have not yet been able to discover all the laws of the nature. Most scientific work has been dependent on the external findings based on some studies or previous research, and there are hardly any studies based on human consciousness. Human consciousness is an entirely different world and much more widespread than the external materialistic world. The irony is that scientists don’t yet have the know-how to study it in detail. The important thing to know here is that these worlds can only be experienced by looking inward and that no theories, bookish knowledge, and intellectual discourses are really that helpful. They may serve as guides initially, but they are not an end-in-and-of themselves. Birth and death are the two most important incidents of the human life and they are highly subtle phenomena. They cannot just be understood by some intellectual concepts. You just can’t make a telescope that can see where the person is going after death, for there are an infinite number of places where the person may go after he or she is deceased. You can’t use this telescope to see where the person is coming from for there are an infinite number of places where he or she may come from. Physics of the Impossible: A Scientific Exploration into the World of Phasers, Force Fields, Teleportation, and Time Travel by Michio Kaku.